DOES IT SEEM FAMILIAR? YOU MAY LIKE WHAT YOU SEE. 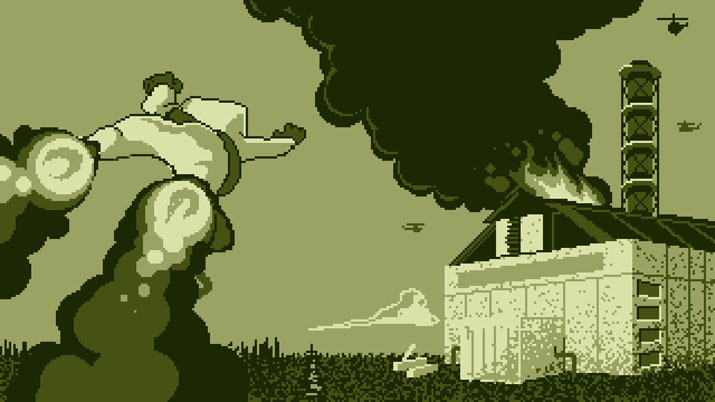 Super Rad Raygun is a creative retro style, side scrolling game filled with many jokes and references. I was drawn to the project instantly because of its creators: developed by ‘TRU Fun Entertainment’ and published by both ‘ScrewAttack’ and ‘Rooster Teeth.” With both publishers having great content from their ‘Vs’ videos to their ‘RWBY’ and ‘RED vs BLUE’ shows, I thought this would be the ultimate game. A title to surprise and make us laugh since both publishers do it so well in the entertainment industry. Sadly it is not the case in this game. It has its pros and cons, but it just didn't capture me as I thought it would. The mechanics are simple, and the gameplay can be fun, it's just the content and its timing that might make a strange impression on many players. Is it a terrible game? Not at all. Its comedic views can attract many players; it’s just not a game for everyone. The intro of the title is so long and plain, even ‘Cinema Sins” would be docking points for stuffing so much exposition before the playthrough. It explains the plot and the reason many players may or may not like it. How to begin? The title describes the reasons why ‘Rad’ (the main character) was created and hired by the president to save America from the Soviet Union. It's as patriotic as it can get, but wait, there is more. Your enemies are Goombas. Straight from ‘Super Mario’ wearing Ushankas and shooting guns at you. This is where it becomes complicated toward a person's preference. It has some great and strange reference that can make some people uncomfortable, especially during the post-election period and friction between America and Russia. Despite current affairs, it looked a lot like the original style of a Mario game. You may be wondering that with a plot like this, Mario must be a better comparison, but the Mario franchise made even less sense. A plumber is fighting turtles and ghosts to save a princess for a slice of cake. A plot that many nowadays would find stupid, but it worked, and it works for this title as well. So if people could fall in love with a story about a plumber fighting an evil dinosaur, then maybe you would love this title too. I just wished it did not compare so close to real life. Without talking more about pop culture, let's talk about the game itself. The music is deafening even on the lowest setting, and even though certain scores are repeated through the game, I enjoyed it. I listened to only a few tracks and found they are well done trying to sound like 8-bit masterpieces. If you are lucky enough to buy the title in the first week of its launch, then you will be able to grab the soundtrack for free which might be well worth it. The gameplay itself can be repetitive at times, but it is far from casual. It is entertaining, and always throwing something at you from a DJ bosses to making you climb the pyramids of Egypt. I was excited to see some resemblance in the title for the second level was located on Mt St. Helena near where I grew up. Loved the fact that the creators took landmarks that they loved instead of only using big city names that everyone would know. Shows originality and shows that the creators made this game based on their tastes. Even the main character is a look back on the past for he is distinctly shaped like a Gameboy device. Distinct and subtle. I enjoyed the references and older players would have a great time finding them all, either they be right in front or hiding in the background. The title is available for both Mac and PC players. It's a great option for the creators to develop a game for both platforms, but in that great feat is a small hiccup. For whatever reason, myself and others found it difficult to play the game once it downloaded. Even after I got it to work, it had no sound on the first playthrough. If this is a game that fits your style, I would suggest installing and rebooting the computer to play it, and if it doesn't work the first time, redownload it and repeat the process again. 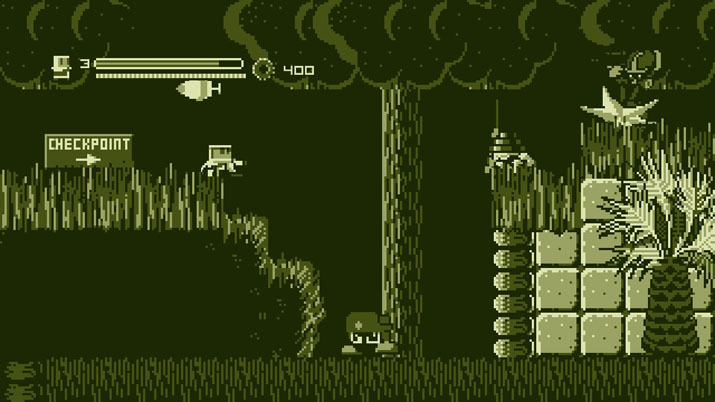 Super Rad Raygun has many things and is a great reminder of the old days, for those old enough to have had a Nintendo Gameboy during the 90’s. Slick retro style. Easy mechanics. Great references, if you're capable of picking them up, and a nice soundtrack. Expect mix ups with downloads, which would probably be fixed in a future update. Yet even with the nostalgia, it's hard to decide if I like it - or not. I would gladly get back to this game when the time is right and play it all the way through just so I can spot the references hidden throughout the game, but even with that I just expected more from the publishers.